What are Granite Countertops Made of? Granite countertops are a made from granite which is a coarse-grained igneous rock comprising mica, feldspar, and quartz. Granite is hard, durable, and highly resistant to many elements; so, granite countertops are a sturdy natural stone product that is highly favored by building engineers, architects, interior design specialists, and homeowners. What are the benefits of Granite Countertops in Atlanta? 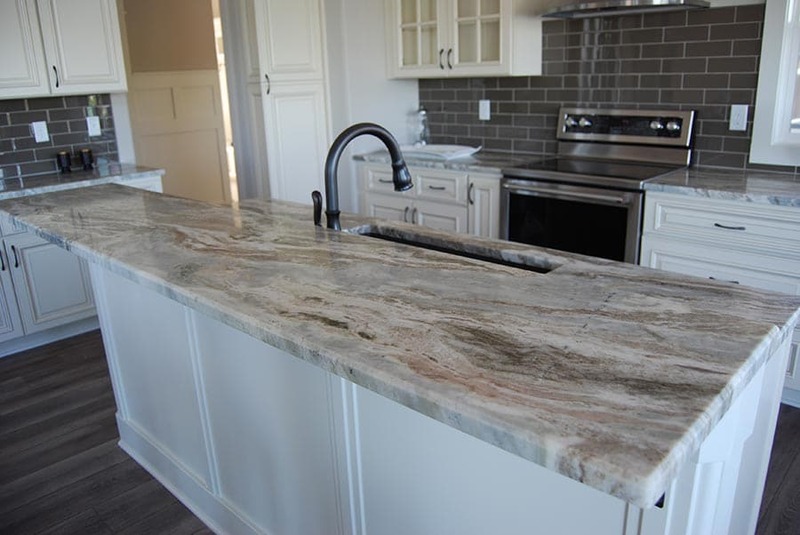 Granite countertops increase the functionality of any space they are installed. When used as kitchen countertops, the surface becomes more useful and spacious. Hot pans, cooking utensils, and even food can be directly placed on the countertops. Their high durability protects them from damage from metals, heat, and when sealed they even resist stains. Granite countertops are a natural stone product that consists of quartz and other minerals which account for the exquisite beauty. They are a beautiful piece that makes a space the focus of attention. They enhance the aesthetics of any space or property. So, they are an indispensable option to beautify a space or room. Made from igneous rock, granite countertops are sturdy, hard, and last almost forever. When they are installed in a property, they are not susceptible to cracking, chipping, breaking, and so on. They remain in a top functional state for a long time. How do you care for your Atlanta kitchen countertops made of granite? Caring for kitchen countertops made of granite can be categorized into daily maintenance and periodic maintenance. Use a microfiber cloth to dust off the countertops’ surface daily. Avoid using harsh chemicals, a damp cloth (with water) is enough to clean granite countertops. Optionally, a neutral pH stone cleaner comes handy to clean granite countertops every other day. And if there are oily stains on the countertops’ surface, mix a cup of baking soda or flour with 5 tablespoons of dish soap and add some water. Put the mixture or poultice on the stain and cover overnight with a plastic wrap. Wash away the poultice in the morning and dry with a dry cloth. The only periodic maintenance is a regular sealing. This is required to keep the countertops from allowing liquids to absorb into the material. To know if your granite countertops need a resealing, splash some water on its surface and watch if the water soaks in or sits in small bead-like shapes. If the water soaks in and does not bead up, you have to reseal the countertops. Most common areas around the sink or areas of high use will start to appear darker as the sealer breaks down and soaks in. Contrary to popular belief, sealing is a fairly simple process, typically only needed once per year. The process consists of removing all items from your granite countertops, wiping on a sealer, letting sit, and wiping off any remaining sealer.